January 2015 was my first trip to Missionvale. I went with my father Sean, who had been before in 2013 with my brother. When we arrived in Missionvale on the first day what struck me most was the heat of the place. I was told that the new houses that had been put up didn’t have any running water or electricity. The fact that the government had put up these houses without any water or electricity meant that the four walls just about cover up the horrible conditions they still live in. Some of the days when we were out working the heat was very difficult to work in. I couldn’t imagine having to live and work in those conditions day in, day out. 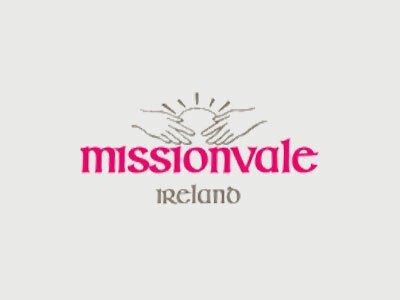 My favourite part of going to Missionvale every morning was being able to see all the people waiting for us and to see so many people, young and old, greet us with a smile. What we were doing for them, however small it may have been, was so appreciated and they were so grateful for the smallest things. All around us people were starving but when it came to the children, you just couldn’t tell it from their attitude. Their energy and excitement was just unreal. They would run around all day in the sun, playing football or whatever and they were unbelievably grateful and satisfied just to have a ball to play with. That would be the main thing that makes me just stop and think before complaining about not having something that I don’t need or overreacting about things that don’t really matter, when it comes down to it. Going over to South Africa I just couldn’t wait to meet Sr. Ethel. I’d heard all about her from Cian and me dad and had seen the DVDs and everything. Actually meeting her was a different thing entirely though and I couldn’t wait. She’s an absolutely amazing woman and to think that she’s sacrificed her life to help others is unbelievable. She does, and has done what we did for a week, every week for most of her life. She was so happy to see us and made sure she talked to every single one of us throughout the week which made everyone feel special because she was so kind and welcoming to us. Getting to work with Sister Ethel and the care workers every day and being able to play football with some of the children of Missionvale, along with everything else made the week in Port Elizabeth the best experience of my life. It has changed the way I view a lot of things and makes me value life so much more. In Missionvale everyone seemed so content despite having nothing which has made me try to be as positive as possible. In Missionvale they haven’t done anything to deserve they have which makes me want to go back as soon as possible and help Sister Ethel again.